All aboard The Flying Scotsman! The most famous train in the world is coming back to the railways. It is a significant milestone in a long-running campaign to celebrate the history and heritage of this most renowned of trains. Back in 2004 things did not look good for the steam locomotive, which looked like being sold abroad after its owners got into financial difficulties. A huge campaign was launched so the National Railway Museum could purchase and restore locomotive No 4472. 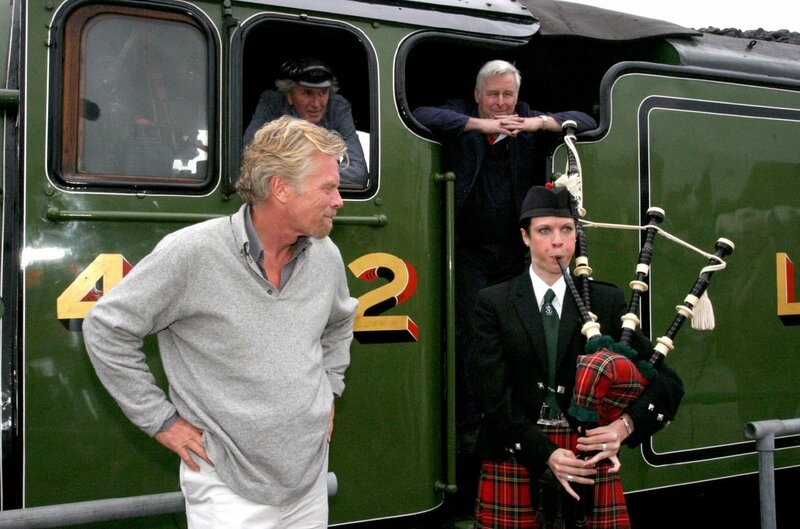 A public appeal raised £365,000, a figure I was happy to match on behalf of the Virgin Group (and play the bagpipes for!) and the train survived. After running on Britain’s railways since the 1920s, it was dismantled and rebuilt by the National Railway Museum in York, and will return to the tracks in late 2015. I love the glamour that The Flying Scotsman brought to travel, from hairdressing salons and radio equipment to a ‘ladies’ retiring room’ and a gentlemen’s barbers. These kind of features to make travel a pleasurable experience rather than a chore certainly informed my thinking when we started Virgin Atlantic, and later Virgin Trains, Virgin Australia and Virgin America. I also love The Flying Scotsman’s record-breaking history: it became the first train to reach 100mph on its route in 1934. As Virgin Trains has continued to innovate with new developments such as the Pendolino, it is great that one of the grand old successes of the railways is returning too. Once its restoration is complete, the Flying Scotsman will undertake a full running-in programme, initially on heritage lines followed by building up mileage on the main-line. Then it will be back into main-line service – I can’t wait to see it back on the tracks. 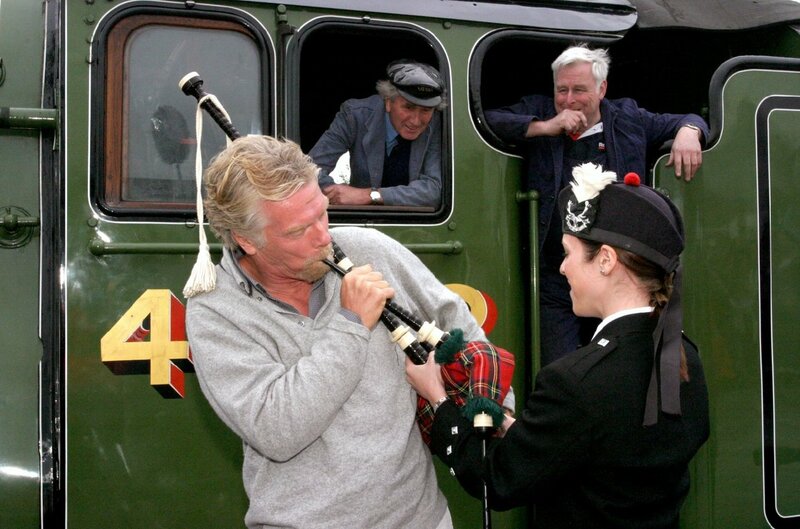 Have you ever travelled on The Flying Scotsman? I’d love to hear your memories of the famous old train.